Helene Schmitz is one of Sweden’s most acknowledged photographers, focusing on humanity’s complicated relationship to nature, as well as notions of time and transience. Her most recent show at Prins Eugens Waldermasudde, Thinking like a Mountainpresents the sublime and subtle power of the organic world, focusing on the exploitation of resources of Sweden and Iceland. 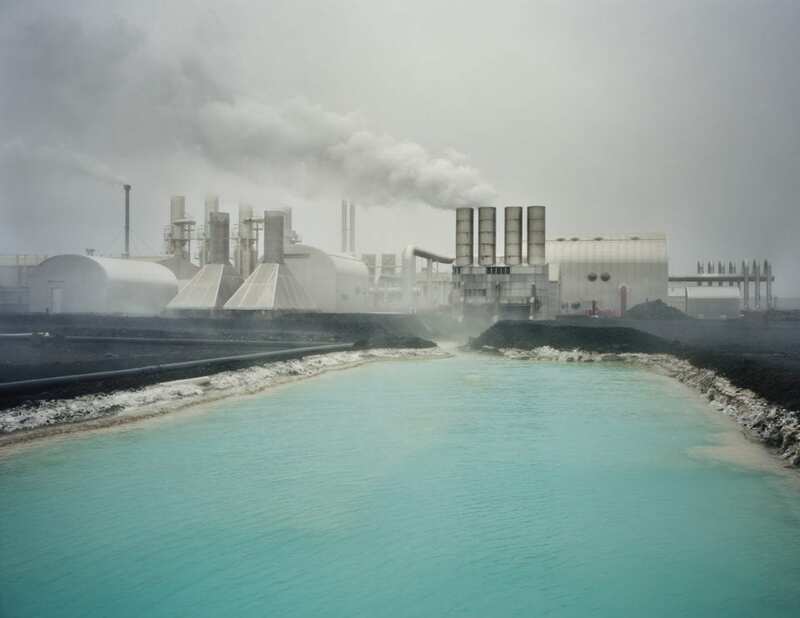 In doing so, Schmitz foregrounds the destructive effects of neo-colonialism in nature through capturing artificial landscapes with geothermal power plants, as well as artificial mountains and lakes. The exhibition is named after a term coined by American naturalist Aldo Leopold, referring to the appreciation for the interconnectedness wider ecosystems. He once stated: “Man always kills the things he loves, and so we, the pioneers, have killed our wilderness.” Agreeing with Leopold’s point of view, Schmitz’s photography points out the necessity of wilderness as a concept, a subject matter, a point of view and a way of life. Schmitz’s works in conceptually consistent projects that often interrelate with one another. 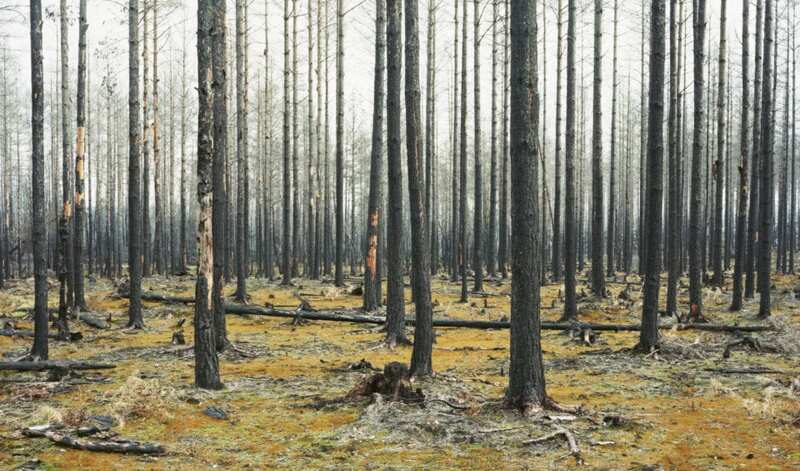 The Forestproject – for example – is the starting point of this exhibition, which was previously displayed at the Transitionsat Fotografiska in 2016. It depicted the disastrous forest fire in Västmanland in the summer of 2014. Schmitz documented the changing landscape for two years, the forest land turning into an abstraction. Thinking like a mountainis a continuation of this theme and is shown for the first time in its entirety here. Thinking like a Mountainis at Prins Eugens Waldermarsudde until 17 February. For more information, click here. 1. All photos courtesy of the artist ©Helene Schmitz. Having graduated from Norwich School of Art in 2010, Lucy Morrison has pursued a passion for painting, working professionally in oils, based in Yorkshire. Axel Hütte’s imagery, taken on various continents, surprises viewers with pictorial structures that place his work beyond the documentary.